Welcome to Denver, one of the cities with the worst hailstorms in the United States. Thousands of insurance claims come in every year, and those claims come with millions of dollars spent on car repairs. Car damages are a common hailstorm claim, and many Denver residents have started to use car covers when parking outside or in an unprotected area. 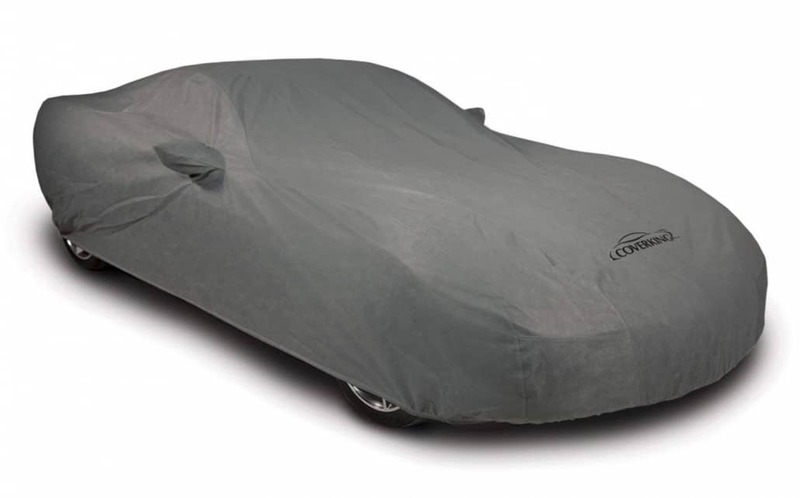 Here are some common car covers. 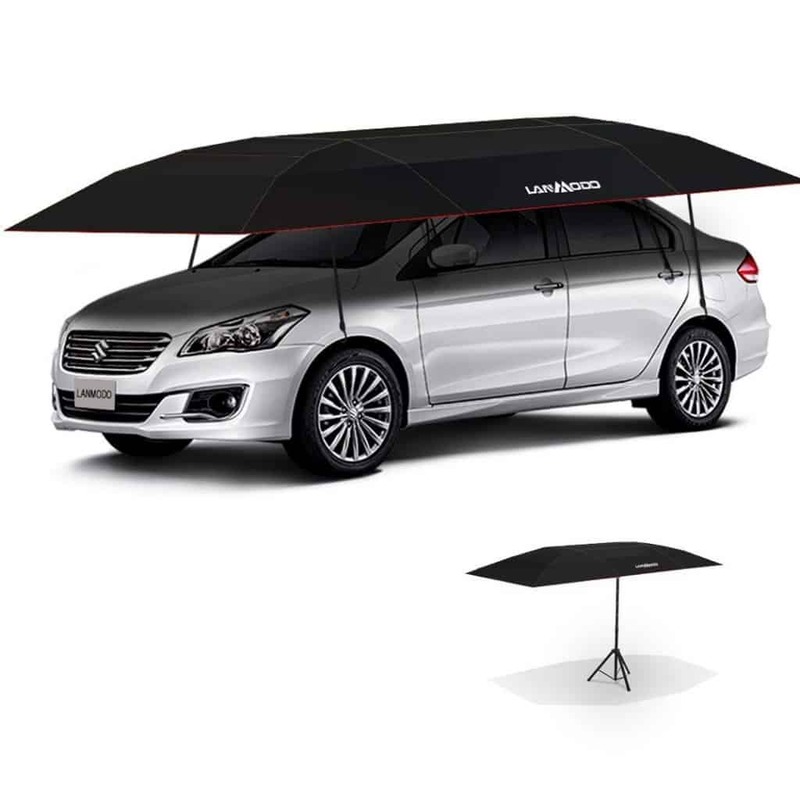 Car umbrella tents help protect cars while parked or on the go. This featured product is made with military grade fiberglass to help prevent the car from damage and is built to withstand winds up to 30mph. It’s easy to install and remove but also has anti-theft technology. Car umbrella tents aren’t the best protection against hailstorms because it doesn’t cover the whole vehicle. It’s recommended to pair the car umbrella with other hail protectors. Fitted car covers are great because they form to the shape of your car and the elastics keep the cover on during a hailstorm. You can take the product with you wherever you go, and it’s easy to set-up. The featured product is made with four layers of heavy-duty fabric to help prevent nicks, dings, and dents. There are many fitted car covers similar to this, however, not all of them are made to help prevent hail damage. 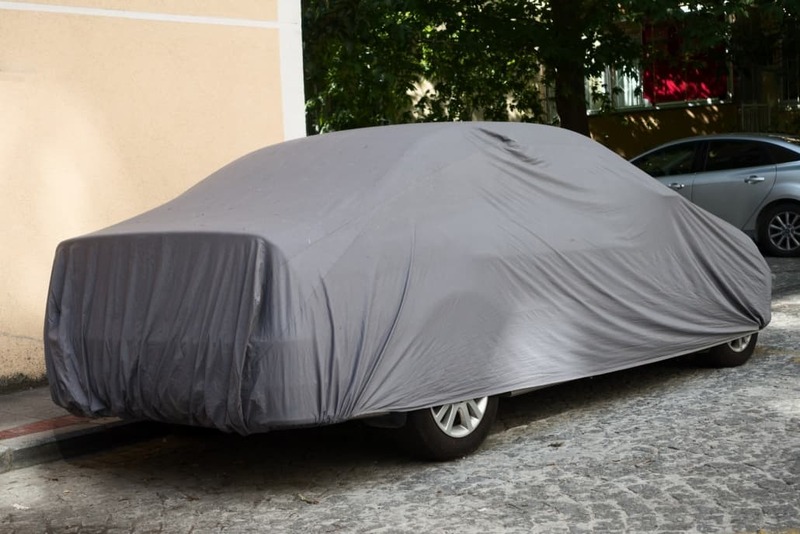 Some car covers are made for the sole purpose of UV and dirt protection. 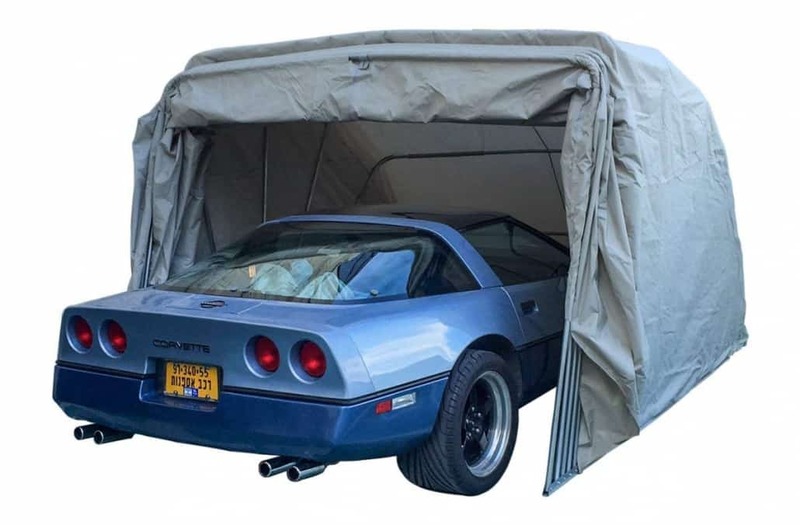 Portable carports that are weatherproof can get pretty pricey, but they are more durable and long-lasting than other types. This featured carport is made of highly durable oxford fabric that can protect your car in light to medium hailstorms. It also weighs 170 pounds, meaning it won’t blow away easily. Carports are ideal for homes that need outdoor car protection. For light to heavy hailstorms, inflatable car covers are the most effective in protecting against hail damage. 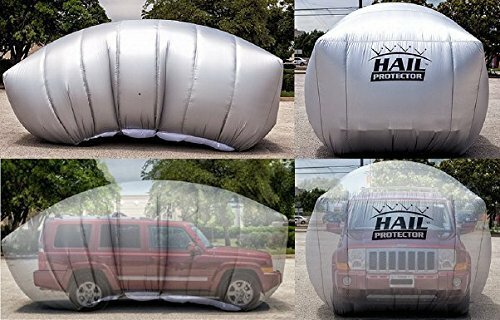 Inflatable car covers use fans to keep the air moving and form a bubble around the car. The bubble helps prevent hail impact against the car, which would otherwise cause dents. The featured product from Hail Protector includes a 2-Year Parts and Labor Warranty, and can even be used as a regular car cover when it’s uninflated. Car covers are great to help minimize the damage but are usually not 100% protection-guarantee. For hail car damage repairs, just let us know! Front Range Bumper Solutions offers top-notch hail repairs at our auto body shop in Denver. Give us a call today for a free quote and to book your appointment at (720) 669-8090. The Three Types of Hail Damage on Cars Why PPG Paint?